Presoft (M) Sdn. Bhd. - Presoft (M) Sdn. Bhd. E.M.A.S. System is the most revolutionary Business Management Solution packages ever to hit the market with affordable solution packages for growing small business. With an array of different modules to suit your business module; topped with a series of unbeatable price range, it is no wonder that E.M.A.S. remains one of the most competitive application in the market. E.M.A.S. 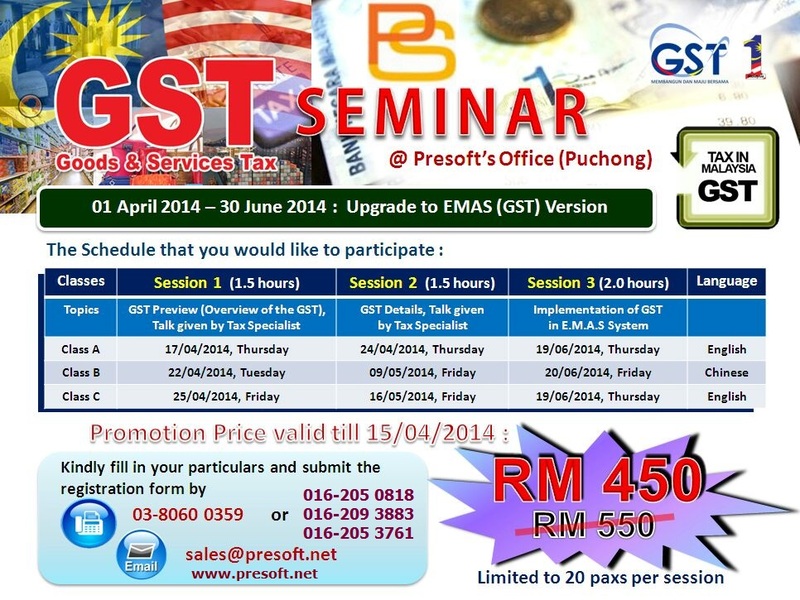 Software is now GST Ready!